One of the major sporting events of 2018, the Vitality Hockey Women's World Cup is not to be missed by hockey fans across the county. Our home team England, including Rio's Olympic gold medal heroes, will be among the world's best teams as they play in the biggest women's sporting event in the UK this summer. As suppliers of hockey goals and pitch equipment to the venue, Harrod Sport has 10 grandstand tickets to offer to hockey clubs, sports clubs or schools to enjoy the action at a fantastic venue! 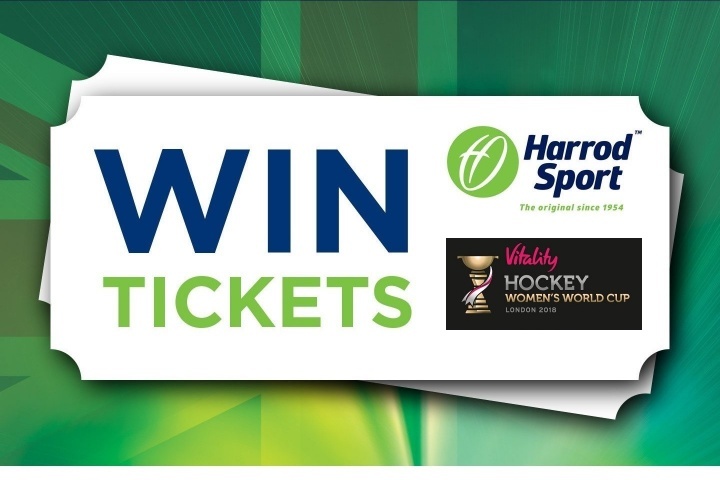 To stand a chance of winning, simply get your official hockey or sports club Twitter/Facebook account to 'Follow' @HarrodSport (found at https://twitter.com/HarrodSport) or like us on Facebook (found at https://www.facebook.com/HarrodSport/) then 'retweet' or 'share' our official competition post. Entries close at 12pm on the 19th July and the winning clubs will be chosen at random and announced the same day. Good luck and we look forward to seeing you there!